On a campus that is constantly growing, personal care sometimes unintentionally take a back seat. Boost offers a place on the campus that revolves around you. A place that can help you keep the balance, where we believe that prevention is better than cure and where we give you a little extra. 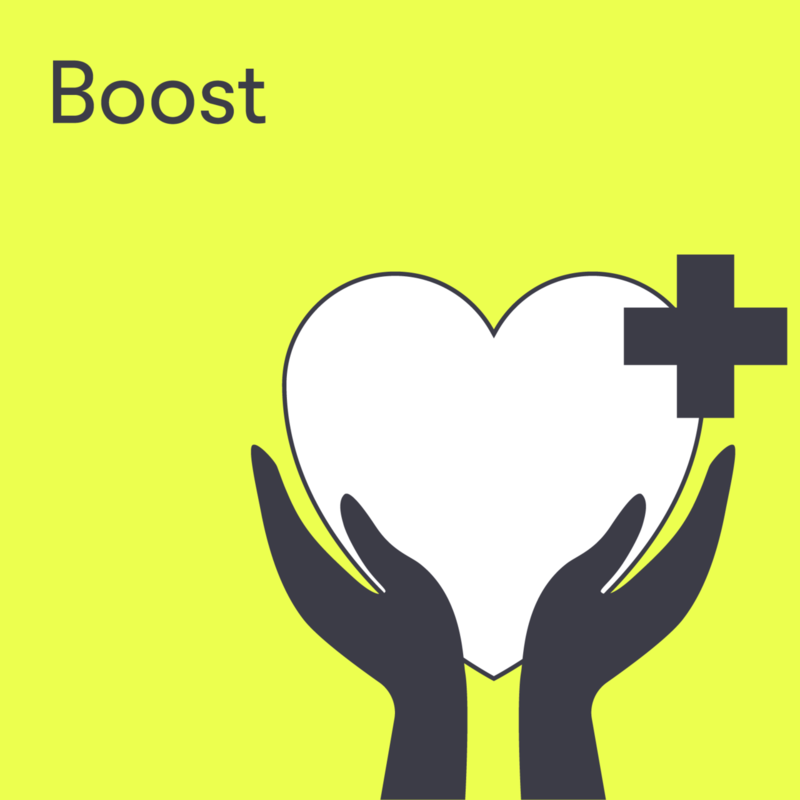 At Boost you can find specialists with various expertise: a masseur, a nutritionist, a physiotherapist and a counsellor. The masseur performs the treatments in return for payment. The nutritionist, physiotherapist and counsellor only give advice, which is free. Our experts work together so that they can help you as well as possible, in a casual setting. So, do not hesitate to walk in if you feel the need. Sometimes special Boost events are organised on fridays. You can find them on the Events page.